Solar energy is the future, and the world is catching up. 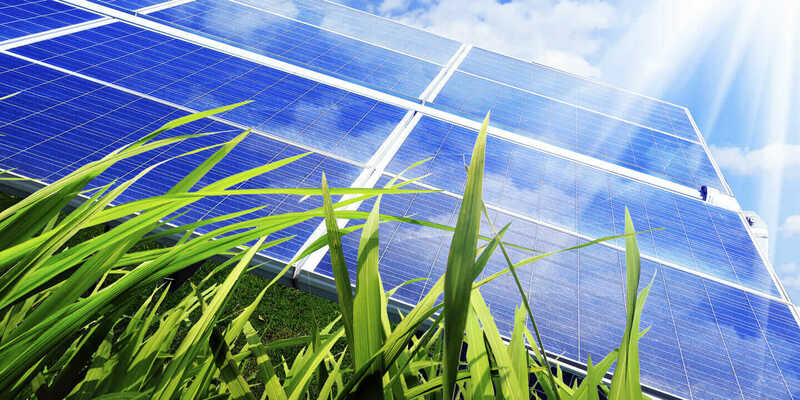 As government programs focusing on green technologies and climate change gain steam with the public, more people than ever are aware of the benefits of solar panel systems. This is great news for solar designers, as more business will likely be rushing in over the next several years and into the foreseeable future. Because of the increasing popularity of solar installation, designers of such products may also be facing stiff competition as more entrepreneurs and corporations enter the field. That’s why it’s important to stay ahead of the curve to stay relevant. Here are four tips to help solar designers thrive in the solar industry. 1. Understand Your Strengths and Weaknesses. Nearly everyone knows about solar energy, but not as many individuals and companies have used solar panels to power their homes or businesses, making it essential for solar-panel design professionals and installers to get the word out about the benefits of switching to solar energy. One of the best ways to stay current is to focus on small-business marketing strategies. For solar designers and installers, there are a number of ways to establish a brand and strengthen business. To thrive in this industry, it’s important to understand potential clients. According to Green Economy Post, a great way to gain insight into customers is to conduct client surveys. A small-business owner can use online survey sites like SurveyMonkey or Zoomerang and ask respondents to answer questions about their experiences with a solar installer. These surveys can be sent to former clients and current customers—ask them how they feel about your services, what they think about solar technology, pricing, and customer service. The results of these surveys can be used to alter business practices, set up new marketing plans, or address other small-business challenges. 2. Map Out Goals. What are your main challenges as a solar designer? This is a question every designer and solar-energy installer should ask himself. Maybe you’re struggling to get the word out about business, need to bring in more revenue, or focus on more dynamic designs. Whatever the obstacle, it needs to be addressed sooner or later; and ultimately, sooner is probably better. Change doesn’t happen overnight, however, so don’t get discouraged. Instead, use a calendar to set goals and a specific timeline for improvement. This will help establish priorities for business improvements. What needs to be addressed first—website quality or hiring more employees? Every designer will have something different in mind, and if goals change over time, that’s okay, too. The important part is to map it out and fully understand the trajectory of a company. Planning things out may take time, but chances are you started this endeavor with a business plan, right? Do yourself a favor and stay on top of the planning process. It’s one less thing that will keep you up at night, and one more thing to get you excited about the future of your business. 3. Explore Grants and Financial Incentives. You aren’t the only one who recognizes the importance of solar energy—government agencies and private enterprises see the power in this renewable energy source and want to expand the industry. One of the most common ways small-business owners can benefit from these programs is through tax credits. These tax breaks can add up to big savings for solar designers, and can be found on the local, state, and federal level. Another option is to apply for grants. These are more common than some entrepreneurs may think and are readily available for those in the renewable-resources industry. Grants can cover everything from start-up financing to special-project costs, new technologies, and more, and can be awarded in hundreds of thousands of dollars. Check out the U.S. Department of Energy’s Database of State Incentives for Renewables & Efficiencies, which lists available tax credits and grants by state. Earning one of these grants can provide the funding necessary to get ahead and stay ahead of the competition at every turn. 4. Reinforce the Benefits. As a designer, you know the benefits of solar power. These panels can save companies money, reduce greenhouse gas emissions, and improve a company’s reputation. Companies as diverse as Wal-Mart, IKEA, Apple, Google, and Walgreens have all adopted solar energy to save costs and improve their image. It’s clear these huge companies have caught on to the trend, but what about everyone else? Solar designers have the benefit of being in an industry that is thriving and will continue to grow, and because the product is so reliable and return on investment is significant, the power to drive in sales is all in the designer’s hands. Create a website that lists the benefits of solar energy, and market to small businesses, commercial facilities, and residential homes. Or you can collect customer testimonials that will show off the great benefits of solar power and share the news on social-media outlets. Whatever you decide, the point is to convince customers of what you already know: solar energy is here, and it’s here to stay.